> Last year was my first year growing tomatillos. I love the flavor and couldn’t wait to make all kinds of salsas and sauces, but much to my disappointment the plants would not set fruit. They finally produced about 10 total near the tail end of the summer, but that was hardly a good crop. I had read that you need at least two plants, since they will not self-pollinate and proceeded to plant the minimum number. This year I decided to double them and have a total of 4 in the same bed. Already I have at least 15 full size husks. I am excited to see how the summer plays out with this kind of production so early. >That's fantastic. I planted two tomatillos last summer. Hundreds of blooms, but the darn things refused to set fruit–until late fall. I ended up with hundreds of dime-sized tomatillos. 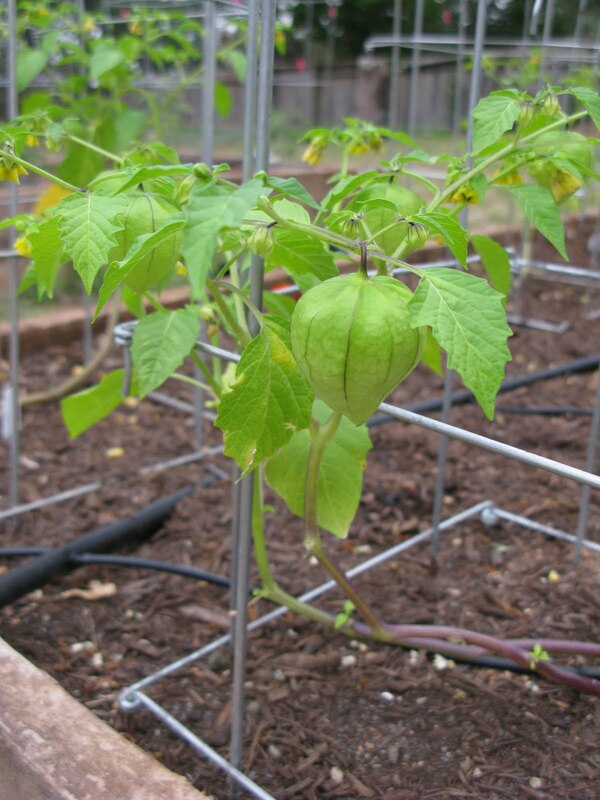 Your tomatillos look much more promising!